Amanda Law, MS, APRN, CNP joined Northwest Pulmonary and Sleep Medicine in Algonquin, Illinois when the practice was established in 2007. She specializes in critical care and pulmonary and sleep medicine in an effort to help patients improve breathing during their sleep and overall quality of life. 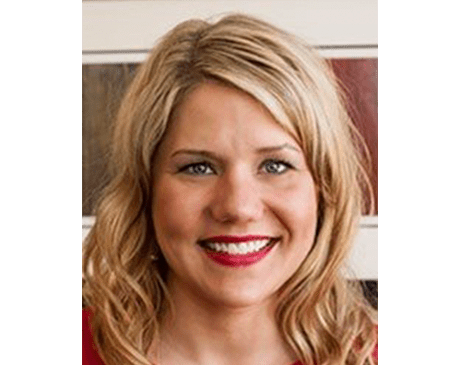 Amanda holds a master’s degree and completed doctoral coursework at the University of Illinois in biobehavioral health science. She also has professional experience working as a nurse practitioner at Rush and Northwestern Memorial Hospitals. Amanda is committed to providing compassionate patient-centered care to those suffering from sleep apnea, other sleep disorders, lung diseases, asthma, and other breathing problems to improve the way they feel and prevent serious respiratory-related complications. Amanda is dedicated to helping patients understand and better manage their condition so they can finally sleep better and breathe with ease. She spends as much time with patients as needed in office and in the hospital to deliver the quality care each patient deserves. Amanda works with patients requiring CPAP machines or other breathing devices, sleep medicine, diagnostic sleep studies, pulmonary function tests, and other treatments for lung and sleep disorders. Amanda is board-certified and stays up-to-date with the latest medical advancements in sleep and pulmonary medicine. She is currently accepting new patients and is excited to welcome them to Northwest Pulmonary and Sleep Medicine.